And relax…………. 🙂 This last week has been hectic! And a miracle has happened – I passed my Day Skipper! Albeit narrowly!!! The theory course last weekend went pretty well and passed that by a reasonable margin and then I’ve been on the practical course for the last 5 days with two “competent crew” and two other wannabe skippers. There was still a fair bit of theory on the practical course – I think I’d been inadvertently considering the theory was a bit like say, project management theory where in real life, the two don’t bear any resemblance so it was nice to see that I could plot a course, consider the tide, head off in another direction entirely based on that and end up at the place I wanted us to be. Who’d have imagined?! My sailing is not hot! I had a breakthrough in the last half an hour or so – you should “atTACK” the wind (tacking is where you head into the wind, rather than away – it sounds a doddle and indeed is, but I have an irritating habit of doing the opposite where the boom swings violently into the heads of your crew rather than the gentle controlled swing of a tack. Oops. 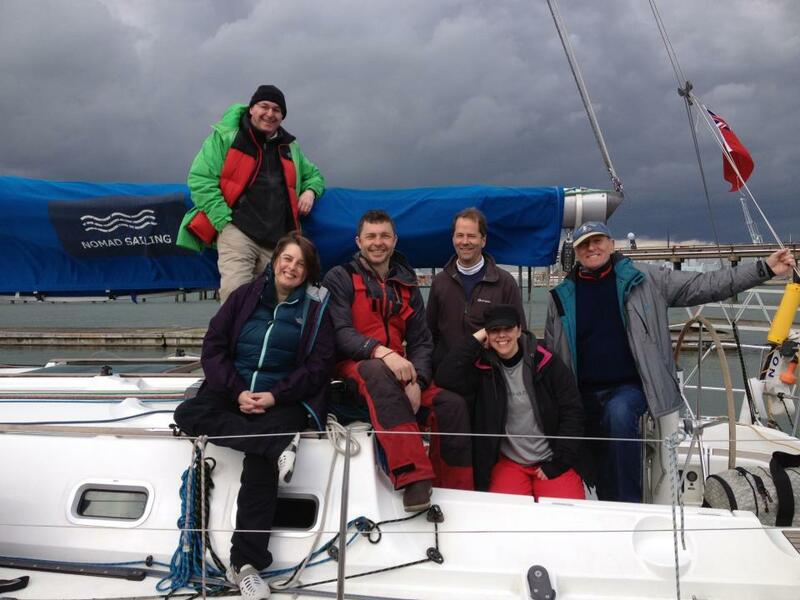 I’m going to try and get in another day of sailing with them next weekend and then the weekend after, I should be going out with the guy I met through Sailing Networks. The weather hasn’t been great but not anywhere near as bad as it could have been – I think there are storms predicted this week and then freezing a couple of weeks before that so despite being perpetually damp all week, it was more than manageable. The yacht was 37 feet. Quite large – you can still sail it single handedly if you’re good. It’s made me think I’d like a much smaller boat than I’d had in mind though so might look at that. And I’m DEFINITELY going to have one with a good working engine. And go out only in idyllic conditions. 21 days to go until Italy! I’ve still got a few bits and pieces to do before then but I can finally relax a bit now 🙂 And with that said, I might go back to bed! I think I’ve about 3 years of sleep to catch up on.